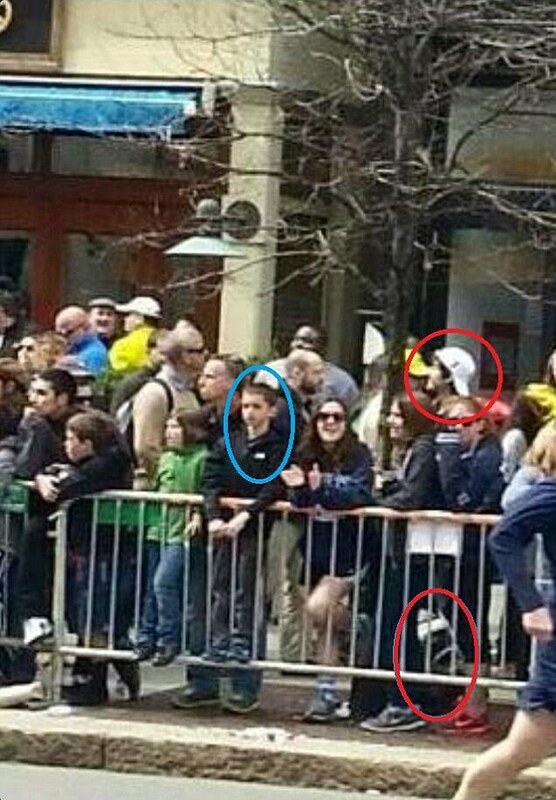 Just like everyone else I was shocked and saddened to watch the coverage of the Boston Marathon bombing by the two scumbag brothers. Today there are reports they planned to go to NYC and kill some more innocent people. I was deeply saddened over the death of 8 year old Martin Richard because my first grandchild, Patrick Robert Meany, is also just 8 years old. I was very disturbed with the first image of Martin that was released, it was Martin in his white First Holy Communion suit. To me there is no image that expresses the innocence of children more than a boy in his white suit or a young girl in her white Communion dress. Patrick will receive his first communion on May 3rd and we will be there to witness him receiving the most important of the sacraments of Catholicism. I will be thinking about Martin. I have to admit though that I was "bothered," felt uncomfortable, to see so many Police and Federal law enforcement agencies decked out in full military "kit," many armored vehicles and everyone carrying military grade weapons. We don't expect to see our police and law enforcement dressed like this, we expect standard "blues," a shiny badge and a holstered handgun. Don't get me wrong, if I was a police officer searching for that scumbag I would want the full military kit, lots of Kevlar and a fully automatic rifle with more than a few big magazines. I also thought to myself we're going to hear negative comments from the Far Left and the Far Right. I was correct, since the scumbag was captured I've read a few online articles and comments from Far Right wackos and heard a very few negative comments by Far Leftie's on WNYC radio. New York City's local NPR (National Public Radio). But going back to the night the scumbag was captured I saw something on TV and on the Internet that gave me "relief" from my initial uneasiness - I saw those same police, SWAT, FBI et al SMILING and HAPPY after that dirtbag surrendered. Maybe relieved too but what I saw was Americans just like us, who had a difficult and dangerous job to do, performed well and immediately reverted back to being us. Looking at those men and women I find it impossible to believe that some murky evil power in this country could someday subvert our law enforcement and turn it into modern day SS troopers. I'm willing to bet that all my grandchildren will always live in the "Land of the Free and the Home of the Brave" because there will always be the same men and women of the same basic American character as we saw in Boston. After all, our freedom and everything we stand for as a nation had its roots in Boston over 250 years ago! Martin Richard, a boy I will never forget, each time I look at my grandson Patrick I will think of him. Last edited by Bob D'Amico : 04-26-2013 at 01:56 AM. Great thoughts Bob... the evil lurks inside of terrorists or anyone who would try to take down this nation, a unique experiment among nations, called the United States. We are not perfect, no nation ever can be since we, as humans, aren't perfect. But it's the best there is. First time I have seen the picture above that Rob posted. I COUNT FIVE (5) CHILDREN STANDING RIGHT IN FRONT OF THE BOMB! I volunteer to execute this SOB. Two videos on this subject. The first one is from the Bill Maher Show on HBO. The second was sent to me by my 89 year old mother - I think she agrees with the commentator. Bill Maher is an idiot. Mamma D sounds like someone I'd get along with. Jeanine Pirro had me laughing the whole time...loved it with her p*ssed off NY attitude.